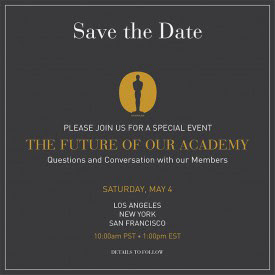 The Academy is looking toward its future and is ready to discuss that topic come May 4. In an email sent out out to its roughly 6,000 members on March 28, the Academy says it is ready to discuss "the future of our Academy," according to articles by The New York Times and Deadline.com. 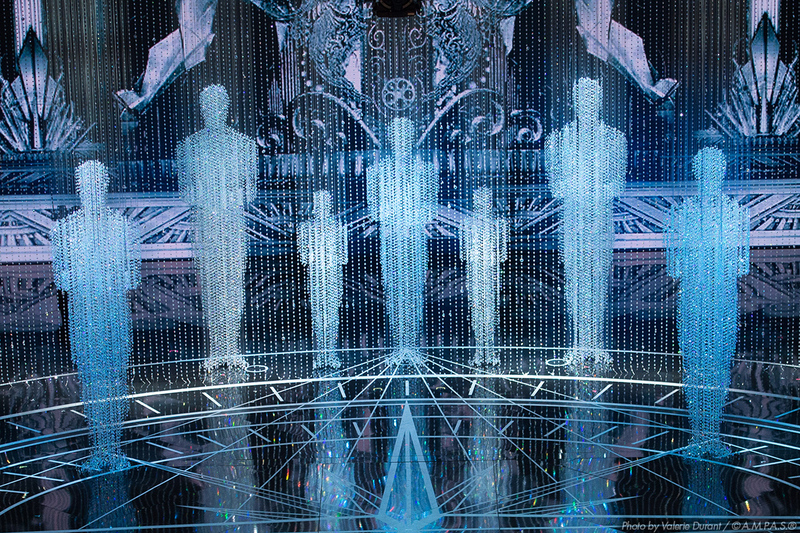 The Academy is looking toward its future and is ready to discuss that topic come May 4. In an email sent out out to its roughly 6,000 members on March 28, the Academy says it is ready to discuss "the future of our Academy," according to articles by The New York Times and Deadline.com. The email, sent out to members by President Hawk Koch and CEO Dawn Hudson, has details for a Saturday, May 4, conference of sorts. Three separate locations are listed: Los Angeles, New York and San Francisco. The bottom of the memo promises "details to follow." Deadline.com's Pete Hammond reports the event is "something that has been planned for a very long time" and is a way for members to share their ideas and concerns. Possible topics that could be raised include: rules for the Oscars, the Academy's biggest event of the year; the forthcoming Academy Museum of Motion Pictures, which is set to open in 2016 and requires around $250 million to be raised; something big could also be announced à la Apple. Stay with TheGoldKnight.com for complete coverage.